WHO IS THAANA SERNDHA KOOTTAM? Actor Sathyan who is busy with a slew of projects will be seen doing an important role in Vignesh Shivn's Thaana Serndha Koottam. In an exclusive chat with behindwoods, he elaborates on the film. "In Thaana Serndha Koottam (TSK), I will be working along with a team that has Suriya, Senthil, Ramya Krishnan and dance master Shivshankar. We are the Thaana Serndha Koottam. I shot just for a day with Keerthy Suresh. I have 30 more days of shooting in the film. 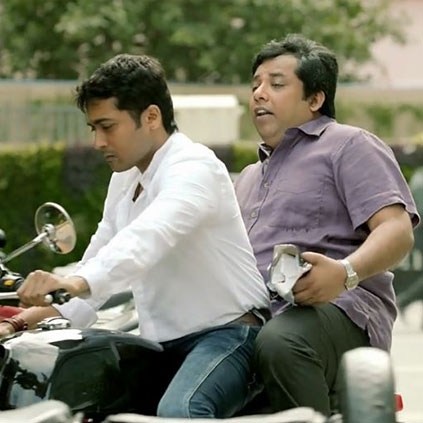 My name is Muthu in TSK and since I am friends with Suriya, its real fun shooting with him. Our entire team is a fun-loving one and I have been having a great time working in the film. It is not like going to shooting but more like going on a picnic. My look will be a normal one, there is no change. We are right now shooting in Chennai in Pachaiappa’s College, Binny Mills and other places after 10 days of shoot in Hyderabad and 5-6 days in Karaikudi. I will be beginning my portions from 20th February". People looking for online information on Sathyan, Thaana Serndha Koottam will find this news story useful.